The Cyprus new “Non-Domicile” Regime, being effectively enacted into Law last year, is proving to be a real opportunity for High Net Worth individuals to restructure their business affairs and lifestyle in a manner leading to a more stable and secure environment while enormously minimizing their tax exposure. In essence, a non-domicile individual who becomes resident in Cyprus is subject to zero tax on any passive income either generated within Cyprus or abroad. This would include dividends received from local or foreign companies, interests and rents. Effectively the only income subject to tax is income from employment for which other exemptions have been introduced and apply as well. For an individual to become tax resident in Cyprus, he/she must remain in the country for more than 184 days in a tax year. A domicile person is one who either is born in Cyprus or has an intention of permanently or indefinitely residing in Cyprus. However the law allows for persons who have become residents in Cyprus (even those with an intention to permanently/indefinitely reside in the Country) at least a period of 17 years before they may be potentially considered as domiciled and subject to tax. Almost anyone being non-domicile in Cyprus could be eligible to benefit from the “Non-Domicile Regime” as the law makes no distinction between EU nationals or third country nationals nor does it impose any financial thresholds. However the distinctions of EU/non-EU nationals and that of financial status, becomes relevant when one seeks to obtain entry (Visa) and thereafter residency in the Country. Individuals being nationals of EU countries benefit from the freedom of establishment in any European country and therefore they are not subject to any Visa requirements, other than an obligation to notify the Migration Office that they have entered the country. For Third country nationals there are different routes for entering the country with the most widely used being the Permanent Residence Permit (PRP) through Cetagory F application. This Permit is granted for an indefinite duration to non-EU nationals, as well as their wife/husband and children under 18 years old. The applicant must have fully and freely at their disposal a secure and regular annual income, which is high enough to provide a decent living in Cyprus without having to engage in any business, trade or profession. Applications are reviewed by the Immigration Control Board and the Minister of the Interior grants final approval. Examination and processing of applications takes around 6 - 9 months. An expedited procedure which complements Category F enables the granting of an Immigration Permit to non-EU nationals who invest in Cyprus within two to three (2-3)months. These permits are granted on the basis of the following requirements. Purchased in Cyprus one or two new real estate properties with total purchase cost of at least €300,000 (excluding VAT). At least €200,000 of the purchase cost must be settled. 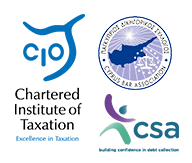 The Immigration Permit continues to be valid provided that the holder visits Cyprus at least once every two years. The application package for the issue of an Immigration Permit under Procedure 6(2), includes (and is not limited to) a number of documents such as tittle deed or purchase agreement for residential property and receipts of payments, evidence of a secure annual income and bank certificates for deposits etc.